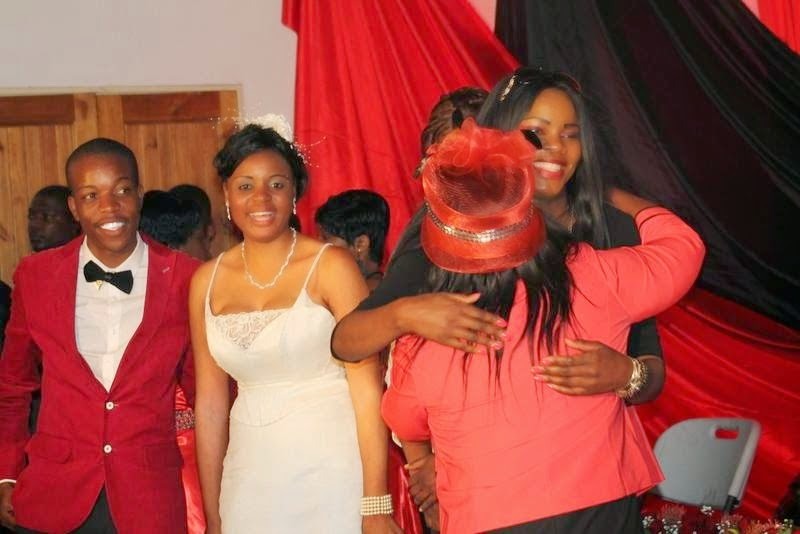 Sharon Macheso’s husband hits back: She infected me with an STI just before wedding. Home Hurukuro Dzezve Rudo Sharon Macheso’s husband hits back: She infected me with an STI just before wedding. Sungura ace Alick Macheso’s daughter Sharon reportedly infected her husband of two months Kudakwashe Munetsi with a sexually transmitted disease a few days before their wedding in August, while wedding gifts and $10 000 cash went to the Macheso family. Munetsi filed opposing papers at the Chitungwiza Civil Court yesterday through his lawyer Mr Charles Chikore of C. Mutsahuni Chikore and Partners indicating that the two issues were partly responsible for the collapse of their marriage. Sharon filed an application for a protection order against Munetsi on Monday, but in his opposing affidavit Munetsi said it was him instead who should be protected by the courts. Sharon MachesoMunetsi alleged that Sharon was possessed by an evil spirit and had to take snuff occasionally to pacify it. Sharon, on Tuesday, filed an application for a protection order against Munetsi whom she accused of being violent towards her and cited drug abuse as the major reason. Munetsi has denied the allegations in her affidavit, saying his mother-in-law was interfering in his marriage. “So many things have been said about me by the applicant, while I have been quiet,” he said. “To put the record straight, so many things are causing problems in our marriage. “Our marital problems have been caused by the violent conduct she exhibits. Prior to this, we had other arguments associated with a sexually transmitted disease she had just before our wedding. Munetsi alleged that Sharon often flew into a violent rage which resulted in her family taking her to their home for up to three days, leaving him without company. “She appears possessed by a spirit and she normally does that after sniffing some snuff and she becomes so powerful,” he said. Munetsi alleged that all the presents they got at their wedding were taken by the Macheso family, while his mother-in-law Nyadzisai took away the $10 000 cash. “All the gifts we got were taken to her parent’s house in Waterfalls instead of our house,” he said. “I only asked about the money and gifts and that annoyed her such that she told me not to ask about them, saying the wedding had been sponsored by her parents. Munetsi said Sharon also had a habit of coming home way after midnight. He said he recently sought medical attention due to stress caused by Sharon, adding that he had evidence to prove that.